Brazilian Samba - What's The Fuss? Brazilian samba is the most famous dance in Brazil. There are other dances such as forro but samba is the dance that people think of when they think of Brazil. Take a look at some of these interesting facts such as some of the history, songs and dance steps among other things. Hope you enjoy this information. 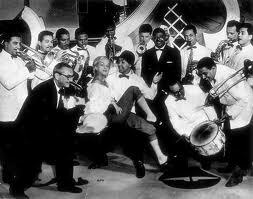 The History of Samba Music is very interesting. It has been performed in carnivals and in street dances during the pre-Lenten celebration in Africa and Brazil for almost a century. Although the history of Samba can be traced back to Africa, the dance is especially very popular in Rio as its mixture of cultures and races allowed it to evolve into many different forms and styles. 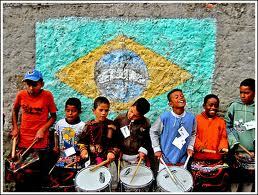 Click the link above to discover more about the history of Samba music. The Brazilian Samba Dancer is one of the first things that pops into people's minds when they think of Brazil. Brazil is famous for a lot of things. They have some of the most beautiful beaches in the world. There are several world famous soccer players that grew up in Brazil. They are famous, and rightly so. They are a big part of Carnaval, especially in Rio. Here are 5 reasons why the dancers are famous. Samba Dance Steps are invigorating and exciting and something that you will want to join in on when you visit Brazil. Learning samba can be a terrific amount of fun and you will love the sound of the music as you dance the steps. Samba dance moves are well known for the hip and knee movements which are performed. There are several different dance moves to learn, but they are all incredible fun. The 5 Most Famous Samba Songs are listed on this page. Of course there is one of the most famous samba songs "The Girl From Ipanema" but the others may not be agreed upon. These are subjective so I'm sure there will be some disagreement but can't we all get along. Samba Instruments that are used range from agogos, cuica, ganza, berimbau, and more. You can notice that traditional instruments are used when you listen to the music. Samba is a music and dance that partly defines the music culture in Brazil. The music itself consists of a quick tempo and catchy rhythm while being used for dance. 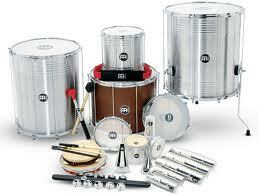 Here are the 5 most common Brazilian Samba Instruments. I hope you enjoyed these facts about the samba in Brazil. If you're really inspired you can take a samba class at a local dance studio. You'll be amazed at how much of a workout it is. It requires constant movement.